Take a kid fishing and watch the smiles grow as they reel in a fish! 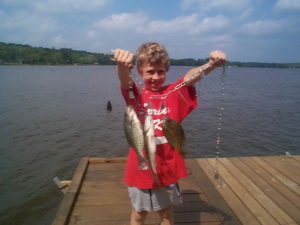 Fishing at Houston County Lake is fun and almost always rewarding. Whether you are Fly fishing, Bass fishing or enjoying the Crappie spawn you are sure to succeed. 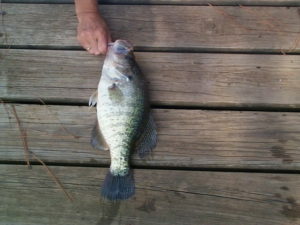 Houston County lake has a reputation of being one of the state’s premier fishing lakess: a reputation it has earned. The Marina sells bait! 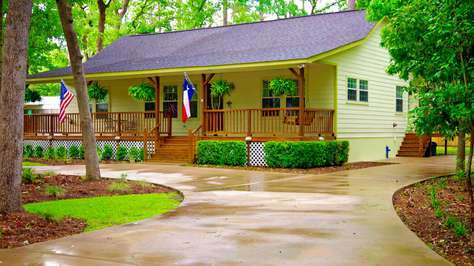 Awesome view has a slip and large dock on the property.. 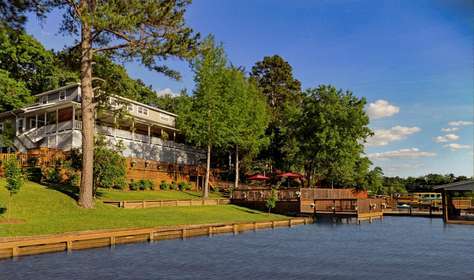 The Gregory & Henry’s Hideaway each have a dock on the lake. The waters of Houston county lake come from Little Elkhart creek. It is not fed by the nearby (dirty) Trinity River at all. We enjoy the springs which help feed the lake and keep it cool in all but the driest years. 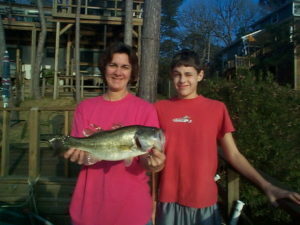 Many fishing experts believe the next State record Bass may well come out of Houston County Lake. There are two uninhabited islands on the lake. Just under 1/2 of the Lake is suitable for recreational boating purposes. Having fun on the lake is an easy job for Dad! 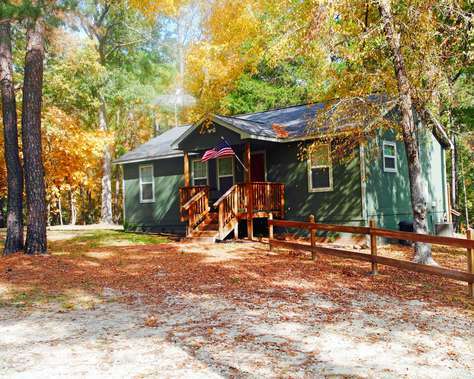 Spend some family time and enjoy life at Houston County Lake. 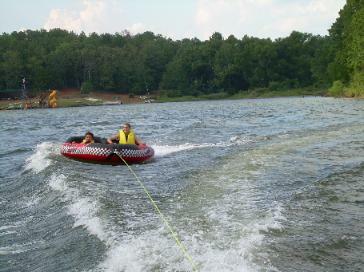 Just under 1/2 of the 1,330-acre Houston County Lake is suitable for recreational watercraft. The lake is seldom crowded, which is why the locals feel it is Texas’ best kept secret. 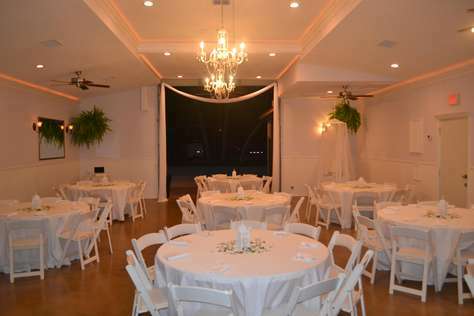 The Resort launch is on the edge of the fishing and recreational areas of the lake. The dam area has an open modern boat launch. 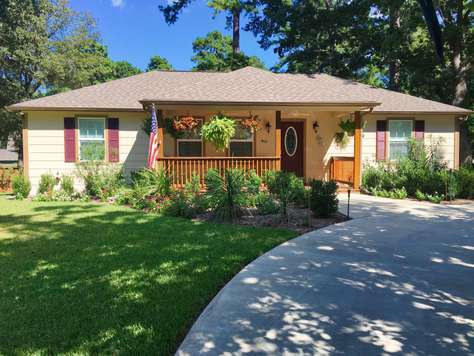 Creekside has a subdivision launch as well. One thing that makes the lake so unique is the springs that feed the lake keep it near perfect for swimming all summer. The area at the damn has a swim beach off to the side, a pier which the local kids like to swim from, and a modern boat ramp that is free to launch from. A day on the cool waters melts away the frustrations associated with city living. The constant breeze and hilly, forested shoreline make it a great place to anchor and enjoy a picnic lunch.